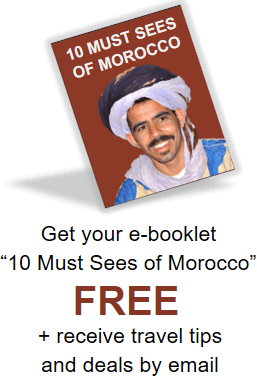 The Sahara always ranks as one of the highlights of people’s trip to Morocco. How could you not be stunned by mountains of unmarked sand around you? It impresses people because it is a unique experience–completely unlike any city or piece of nature that you have seen before. There’s just something about being in a place completely without buildings or signs of civilization and knowing that even your footprints will be blown away in a few seconds with the shifting of the sand. Before you go, make sure you know what to pack. Leaving some of these items behind will cause you unnecessary pain in the Sahara, so take a look! 1. Closed toed shoes: You might think that sandals or bare feet is the way to go in the Sahara, but when the sun heats up the sand in the afternoon, it becomes scorching hot. Trust me, you don’t want to be out in the dunes without proper protection for your feet. There have been moments where travelers have split up their shoes so that everyone can have one proper shoe in order to hop back to the hotel with minimal damage. Don’t worry though, bare feet are great for the morning and evenings while the sand is still cool! 2. Sunglasses: This is an obvious thing to pack, but still merits mentioning since sunglasses can be easy to forget. Slip them into your bag in advance to make sure that you will be able to enjoy your camel ride without squinting! They’ll also be helpful for protecting your eyes from any sand that might stir up with a breeze. 3. Light scarf: This piece of clothing will come in very handy for the camel trek out to the Berber tents, if you are going to stay the night out in the oasis. Most of the time, you will not have to worry about the possibility of sandstorms, but in case there is a little wind, it is always helpful to have a scarf to cover your face with. As an added bonus, scarves make great souvenirs, especially if you buy them right from the weavers! 4. Jacket: Most people expect the Sahara to be hot all the time, but the mornings and evenings can get quite cool. Make sure that you pack a light jacket for these times, especially if you are coming in the winter months! 5. Lip Balm: As expected, the Sahara is quite dry. The dry air will definitely take its toll on your lips. In desperate situations, we have had men wearing their wives’ lipstick to keep their lips from peeling, so make sure everyone in your group brings along a little lip balm for the Sahara time! 6. Water Bottle: Bring a water bottle that is easy to carry, especially for the camel trek. There will be drinks available at the Berber tent and at your hotel, but it’s always good to stay hydrated as much as possible, especially if you are going during the summer months. 7. Camera: There is no end to the number of interesting photos available in the Sahara. 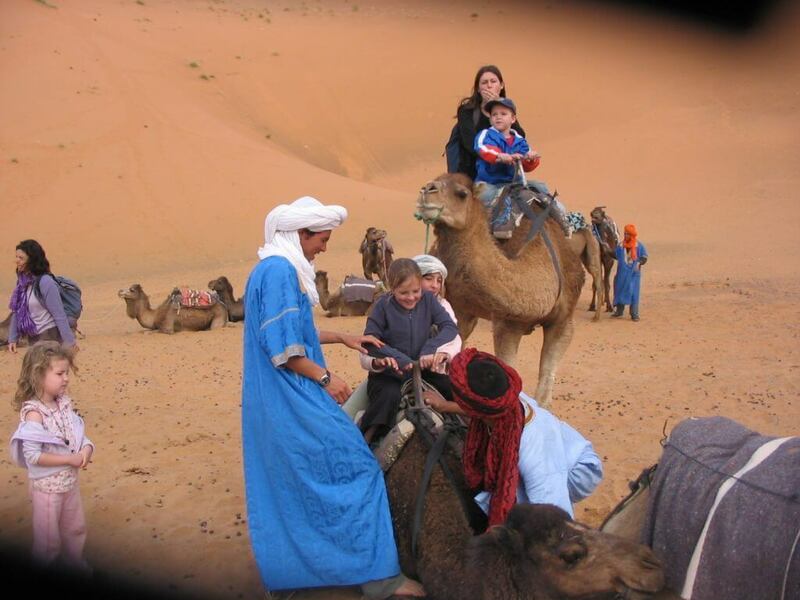 Take the classic camel silhouette on the dune picture, or one of everyone in your camel train riding with no hands! Along with the camera, be sure to bring a change of batteries or charger, as well as a sealable bag to keep it from getting sandy. 8. Sun protection: Bring sunscreen, but don’t stop there. Make sure you also pack tops with light long sleeves to protect your arms. A hat is also highly advised! Think the Sahara is boring? After all…it’s just a lot of sand, right? Wrong! 1. Take the camel trek. You might think that swaying on a camel sounds very uncomfortable, but they are actually quite padded with blankets and supplies for the evening. 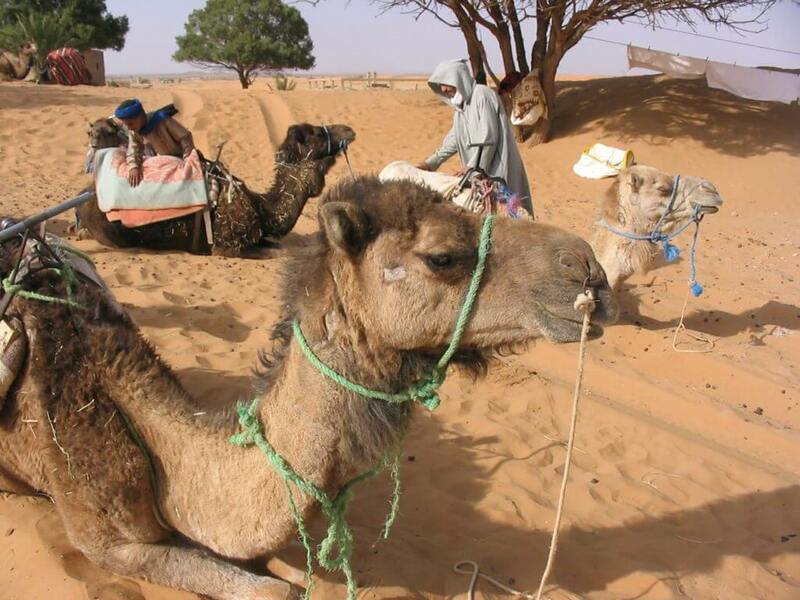 Check out our tips section for hints on how to make the most out of your camel ride! 2. Try the sand boards! Ask the hotel for their sand boards. They will have some in supply that you can use for the day. Littler kids can sit on the board as they slide down the dune, while the older kids can try to balance on it standing. Look for tall dunes with good slopes as some sand will shift faster than in other places. 3. Watch the sunrise from the top of the dunes. You might not feel like getting up early, but it is definitely worth it to see the pink spread from the corners of the skies until light turns all the sand golden. Pick the tallest dune you can see as a challenge! Who can come up with the best name for their camel? 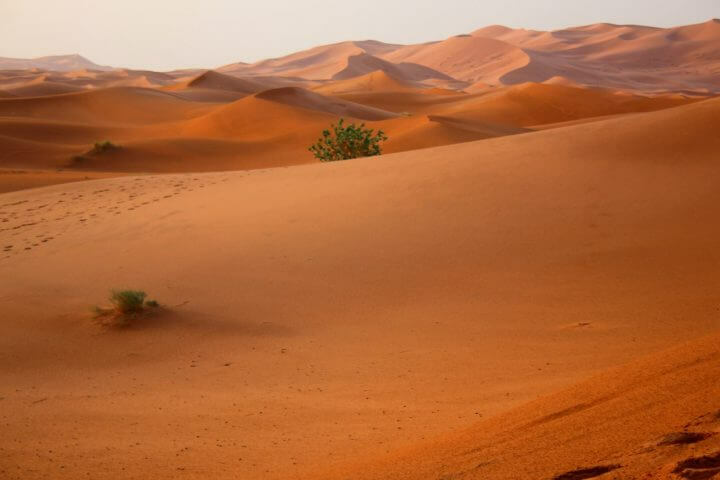 Artistic photo challenge: Experiment with different shadows and settings in the Sahara to come up with the best photo. Long jump competition off of the dunes! 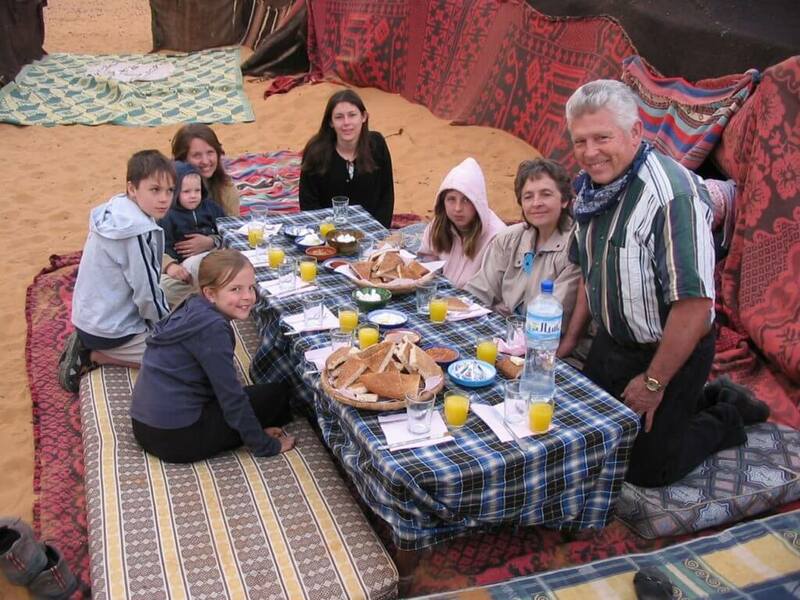 Here are a few things that you need to do while you are in the Sahara. 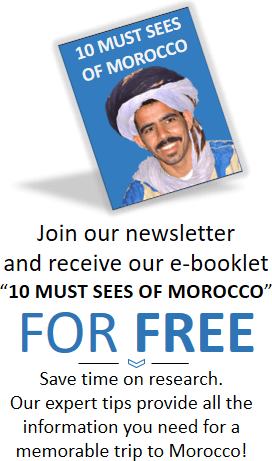 Reading these 5 tips could improve your Sahara experience greatly! 1. Getting tired of sitting on the camel? To make your ride a little more comfortable, try riding side saddle! Depending on your height, you might also be able to prop your feet up on the handlebars and sit back and relax. Some members of my family actually prefer to walk beside the camel train after they have ridden for a while. It’s up to you! 2. Enjoy seeing the Sahara with your own eyes. You will love to look back on your photos later, but don’t be so consumed with the camera that you forget to take a deep breath and inhale all the beauty around you. 3. Savor the silence. Take at least a few minutes to sit outside and let the busy-ness of life drift away in the stillness. The only noise you might hear is a camel or one of the travelers with you. This is especially comforting if you are used to the hustle and bustle of a city. 4. Go stargazing. This might be the most stars you have ever seen in your life…don’t forget to fully appreciate it! 5. Don’t try to hurry your Sahara trip. Some people try to do the Sahara very quickly and most people end up wishing they had booked another day. If you are going to be all the way in the Sahara, don’t rush through it. Take the extra day. 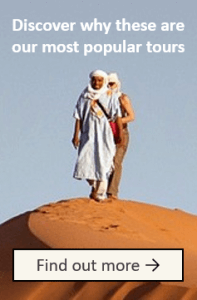 When should you plan your Sahara trip? 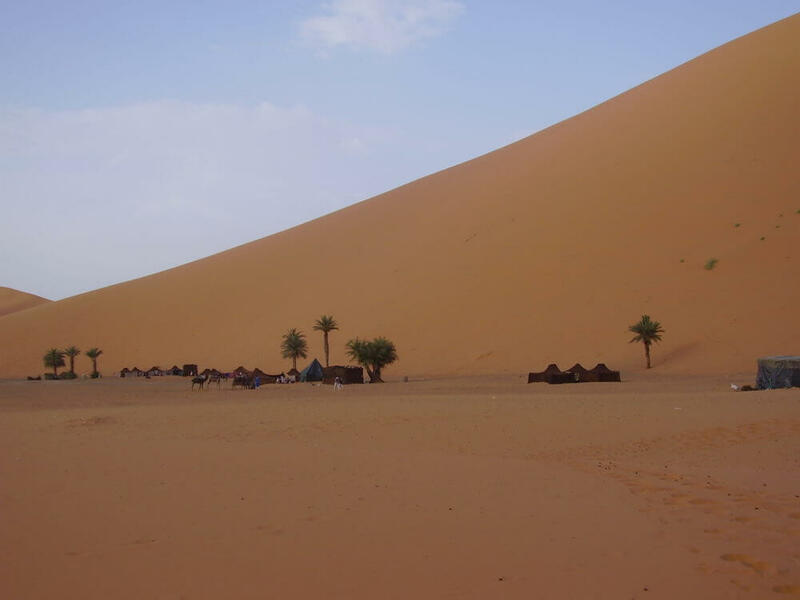 The most ideal time to visit the Sahara Desert is from the months of October to early May. During these months, the temperatures won’t be as hot during the day time. You’ll be much more comfortable during these months than in the hot summer months, when temperatures are scorching. You may encounter some sandstorms from January to May, but bring your scarf along and you’ll be fine! See our weather guide here. Add the largest desert in the world to your bucket list of places to travel! 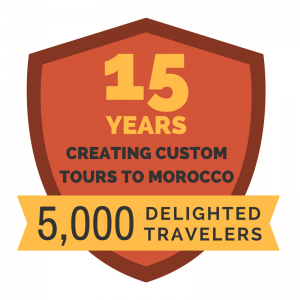 We’d be happy to help make your dreams come true by customizing you an itinerary today…whether it’s a short desert excursion or a longer itinerary with the Sahara as one of your stops! Did you enjoy this post? Sign up to join the EIT family and have our best blogs, travel tips and exclusive discounts delivered to your inbox each month!